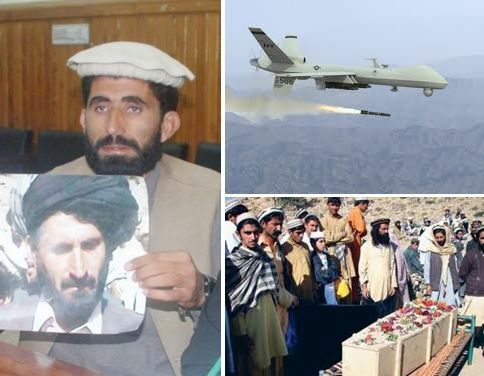 Noor Khan, a resident of North Waziristan, is determined not to let the killing of his father in a US drone strike go unquestioned. “My father was at a jirga to settle a dispute of a chromite mine. The problem was almost resolved, but during this time there was a drone attack and he was killed. Our whole village was orphaned because all the elders were killed,” Noor Khan told The Express Tribune. Khan’s father was killed in March this year in what was said to be the deadliest US drone strike since 2006. The attack killed 50 people, including five members of the local police, and a child. Lawyer Shahzad Akbar, acting on behalf of Noor Khan, has sent a legal notice to British Foreign Secretary William Hague, to question the role of Britain in providing intelligence to the CIA-backed drone campaign. British law firm Leigh Day & Co, in collaboration with British legal charity Reprieve, is handling the case in Britain.